When it comes to speed control, asphalt speed bumps are absolutely essential. They’re important because they help slow down fast cars on your lot. The last thing you need to deal with is a speeding vehicle. Speeding vehicles can greatly endanger drivers and pedestrians on your lot. If you want to strengthen safety in your area, speed bumps are the way to go. If you’re concerned about speed control in your area, you don’t have to worry. PC Maintenance is available to install speed bumps of all varieties. Our dedicated team of professionals can install these bumps according to the roads’ widths. If you’re interested in other varieties of speed bumps, we also provide installation services for rubber and prefabricated plastic options, depending on your specific preferences. 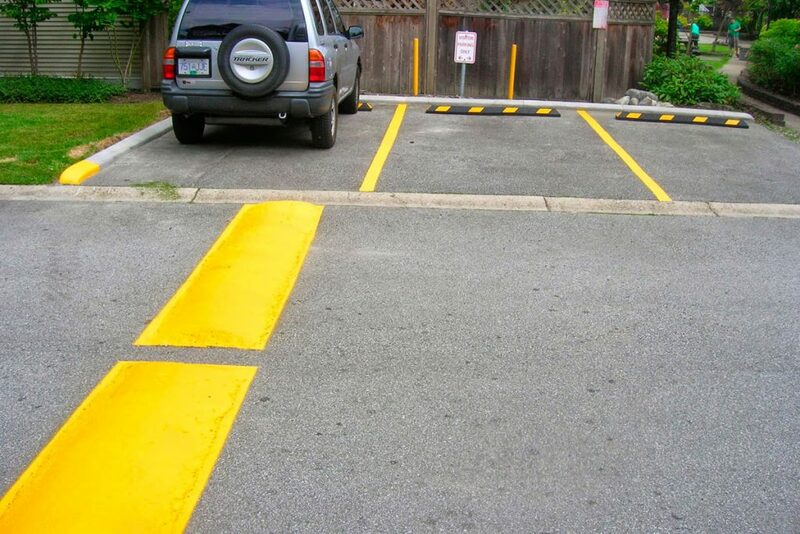 We provide painting services for speed bumps we install, as well.